" Reporting of errors in my applications"
Aptelingt offers me a very intuitive graphical interface so it becomes easier handling. It allows me to anticipate failures or errors in applications before users realize it, all thanks to the monitoring system. Reports of errors are in real time and are very complete i edit and correct applications instantly. I do not really like the board I think that similar features of an area are separated when they could be closer together to facilitate use instruments. If you need to evaluate or analyze your app with the creation of reports that allow you to know the details of the errors to optimize your developments Apteligent is the best choice to take away a headache. I am using Apteligent in order to evaluate and detect failures in one of my recent applications, this with the idea that mistakes in my applications are scarce and are detected by me before they are detected by my users. "Excellent Crash reporting tool to analyze your apps"
It is the best real time crash monitoring app which offers a very intuitive graphical interface and lets me quickly fix the issues before the crash affect any other user. I can also add flags in my code so that I can easily find them and review them at a later stage. For first time users, it has provided a very simple and elegant user documentation which is pretty easy to understand. It covers everything from real time crash reports to examining and testing the app through various development stages. Its dashboard allows to view all the data related to the mobile app within a single screen and sharing that information to other team members requires just a couple of clicks. Since the crashes reports and their related events needs to be seen even after a long duration, Apteligent doesn’t provide that capability as it has got limited history details when it comes to viewing previous events and their related trends. The dashboard can be segregated further in order to have similar functionalities in a separate region on the dashboard for easy monitoring and usage. It will definitely prove out to be beneficial in generating reports for your app crashing and to fix those bugs which led to that crash. So, a must try for iOS and Android developers. I am using it on a daily basis to figure out whether my latest version of the app is performing better or getting worse than its current or previous versions. This makes my app stable in the production instance with very few occasions of crashes. I always use it to find and fix the bugs present in my app before it reaches out live to the users. What Mobile App Analytics solution do you use? "Apteligent (Crittercism) integration and crash report generation in cloud from mobile app"
Apteligent(Crittercism) has an integration module for appcelerator titanium mobile cross platform. Used this to improvise my app performance by resolving crash rate and workflows. Provides both app and user management with light weight crash reporting. Http error rate provides a best mean to identify error cause and latency. Troubleshoot must be further improvised. Initially i dont know whether my app is connected or not as no crash rate and count was noted, no exception in my app console as well. Dashboard is with multiple options is confusing, can be further segregated. Good reporting tool helps you generate reports on crashes. I helps app to fix with issues. You can monitor you app performance in timely. In my android app implementation I was getting httpclient exceptions and heap memory exceptions some time these were handled, identified the cause and fixed them. I have done quality analysis for app flow and functional flow. This is not only a bug reporting site, the team of Apteligent fix app issues, focus on feature development, and deliver the best possible user experience. This is a nice thing that this site have, the support is so helpful and you can talk with the team easily, nice site for webmasters and program developers. I don't like so much the homepage graphic with the "Free Sign Up" button, too much large and without estectic, Apteligent need to improve that. If you need to check the bugs this is a nice site, with this site you can do so much thing with the webmaster team. I can check the bugs and work with the team of Apteligent, the staff is so friendly and helpfull, if you are a webmaster or a program developer this is a nice site that can help. "More than a mobile crash reporting system, but at a price"
- Easy way to link a crash to a specific user. This is really nice to provide great customer support. - The UI can sometime be slow . - App management is really confusing . - If your user base is global, the "Geolocation" feature is really interesting to improve your user' experience. 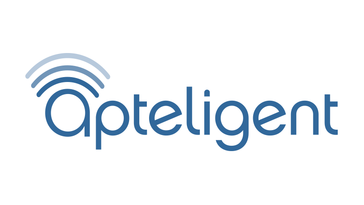 We first used Apteligent as a crash reporting system to monitor the quality of the mobile apps TextMe was releasing. Being able to identify rapidly the most common crashes has been a really valuable benefit to the company. Releasing an app or update without a crash monitoring system such as the one provided by Apteligent is totally out of the question. I like the team of this site, this team does not only fix apps crash, the team focus on feature development, and deliver the best possible user experience, this is a perfect site that allow the user to report and fix the bugs with mobile apps, I like the simple template graphics and functions too. I don't like so much the benchmark graphic data, the iOS Crash Rate by Version is not updated daily, this is the only think that I don't like, this team need to improve that. Nice team, if you need to fix your app this is the best site you can use. I solved so much problems with this team, the team focus on feature development and this is the most important thing that I need with my business. "A really nice product for crash reports"
It is really easy to use! As a person who often switches through different products for analytics and crash reports this is one of the best things i may want from an app. Most of the products are really hard and confusing and it takes me a lot of time to get used to them while Apteligent is definitely something that you will learn for one hour and start using it right away. It can sometimes be really slow or even buggy. Also the UI can be really confusing sometimes.. which is of course fighting with my previous statement but even thou you will find it easy to navigate through. I am developing mobile applications. Apteligent helps me with the crash reports and does a really good job. It provides tons and tons of data about your app. "A good asset for improving your apps"
I've used Apteligent alongside Splunk in order to test apps and ensure that they aren't crashing when being used by our users. When there is a crash, I can find out exactly who it happened to and reach out to the user and apologize for their experience, and let them know that the issue is being addresses. The UI takes a little bit of getting used to in order to know what you're looking at. While I do think there is room for improvement, I don't feel like it was bad enough to turn me off from Apteligent. If you're already using Splunk and need comprehensive crash reporting for your app I definitely reccommend giving Apteligent a shot. Many features are free, and set up is not hard at all. The days of releasing an app into the wild without first making sure that it's not going to crash for anyone are over, and that makes me feel a lot better about the apps that my company is releasing into the world. "A tool to go beyond the Play Store"
From crittercism or Apteligent I love every characteristics that it brings for me with a very easy way to implement it. The ability to know what was doing the user just before the crash is one of the best thing of apteligent. Also I like the posibility of add flags in the code for a later use. The worst thing of apteligent is the documentation that they have for their Android version is not as well as you should expect. we are going way more beyond play store information and the user report that used to be less informative than we need. "They could have been great but they settled for good." For a mobile app team, it gives us crash reports without any hassles in setting up (barely an hour of work). It also provides stack trace and ability to share with multiple people across teams. Has multiple roles for users, which helps us manage things better. Offers a great dashboard with all kinds of metrics we want. Also includes device/OS/network info for debugging. The grouping of crash logs is confusing. Breadcrumb are also not very helpful. At times we want to search for certain messages in all the logs, but the portal doesn't offer any such feature. It messes up crash categorization per version - for instance if a crash was happening in version 1.0, it might even show up in version 2.0 for absolutely no reason. This has caused a lot of confusion in my team. Although I am not a big fan of this tool, I have to admit they are the best one. Their support team is great. There are many free alternatives to crash reporting tools in the market, but most of them will not offer proper diagnostics. We have prototyped with some other leading tools before we went for Apteligent (formerly Crittercism). We wanted a crash reporting system for our mobile apps with some diagnostic information like device and environment - so that we can reproduce the crash and fix. While it offers most of the data we want, we never get enough data for crash reproduction, as logs are trimmed down. "Best platform for mobile application performance monitoring." Very easy to implement Mobile app Analytics. Crash statistics are very informative, easy to pin point the location of bugs. Very nice user interface to access all the features. Using this tool, i can identify the error and estimate the latency easily. Although UI is nice, the navigation is kind of slow. Too much options in dashboard, and the explanation for those options is not through, a better FAQ is expected. A better and through FAQ for android development is needed. Current documentation doesn't provide too much valuable information. If you want to figure out the performance degradation issue while doing application migration across varies mobile platform, Apteligent is the must try option. While developing my android app, there are always http and memory exceptions that i can not find out the reason. With the help of apteligent, i can identify such causes. Therefore it give me insight to fixed the bug. "If you have resources, this is the option"
The interface is quite friendly, understandable and accesible to all features. I think it is not accessible to many brands. Some analytics are free version, you can analyze a site and all the brands take that as a parameter. If you have the resources, they are you best option. The investment return of some brands. It gives you many insights, data and stats that help you to focus your efforts and resources. "Like a little developer inside your app"
"An application create by a team with skills"
I really like the lightweight SDK help, for mobile KPI owner, perfect ! probably a better way for benchmark app & the peers ? * We monitor all Apteligent reviews to prevent fraudulent reviews and keep review quality high. We do not post reviews by company employees or direct competitors. Validated reviews require the user to submit a screenshot of the product containing their user ID, in order to verify a user is an actual user of the product. Hi there! Are you looking to implement a solution like Apteligent?